What is the secret to stress-free holidays? 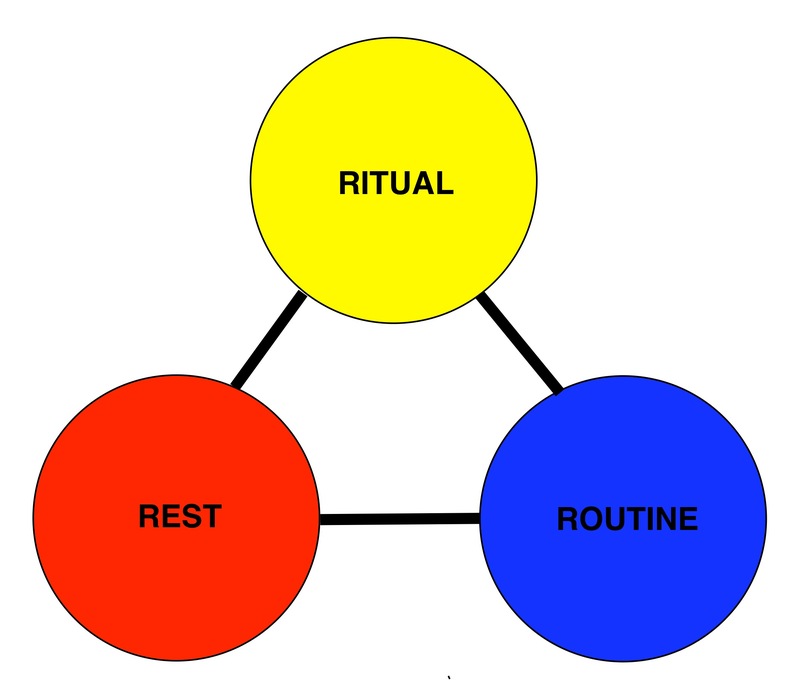 My formula is three-fold: ritual, rest, and routine. There are many things and circumstances that can cause stress during the holidays. Some of these cannot be avoided but you still have a fair amount of control over your situation and how you will react and respond to triggers during times of stress. celebrating special events such as weddings, baptisms, birthdays, etc. A common form of stress during the holidays is when these rituals are disrupted as with the death of a close family member or friend. The anniversary of this loss, when it occurs around the time of the holidays, becomes a looming stressor. One way to turn this stress into a positive is to create a new ritual around this loss. Perhaps celebrating the person by sharing fond memories in a setting with others that can benefit from this new ritual. This can bring peace and closure to the sense of loss. Avoid things that can interrupt sleep such as caffeine, alcohol, and heavy or spicy meals in the evening hours. Avoid medicines that can interrupt sleep such as diuretics and decongestants. Limit fluid intake in the evening to avoid having to go to the bathroom in the middle of the night and be sure to empty your bladder before going to bed. Avoid stimulating activity such as watching TV or using the computer. The bright light emitted from these can disrupt your sleep. Drinking a glass of warm milk or camomile tea can promote sleep. If you have sleep apnea be sure to use your CPAP or BiPAP machine. Good nutrition and exercise also promote healthy sleep patterns. Make sure that you also practice good hand-washing to avoid getting ill. Get your flu shot and make sure that you take your medicines and stick to your diet! ROUTINE increases productivity and brings a sense of calm to our lives. When you can stick to a schedule, you get more accomplished and can actually free up time to get other things done. Make sure that you schedule breaks into your day. These breaks are vital! Having a To Do list is also helpful. You also might want to consider getting help during the holidays with the To Do list. There is no reason why you can’t enlist family or friends to help with household chores, decorating, shopping, and other activities that need to be completed. You can also hire outside help or enlist a neighbor or college student who is looking to make some extra cash during the holidays. Anything that you can do to keep to your routine will be helpful. I’m sure you can come up with other suggestions and tips for stress-free holidays. Feel free to post your tips in the comment section below!